Claudia Rankine was all the rage at the Association of Writers and Writing Programs national conference in Los Angeles last spring. Her keynote address was sold out, the extra room where you could watch it all on video projection was sold out. She was huge. I had never heard of her, so I didn’t go. Probably a mistake, in retrospect. It’s difficult for me to pin down just exactly what sort of writer Ms. Rankine is. I’ve heard her called a poet, but Citizen didn’t really strike me as poetry, not exactly. It’s non-fictio, but it’s not really reportage, nor is it really an essay in any traditional sense of the word. This lack of firm genre may be one thing her readers like about her. It is non-fiction. 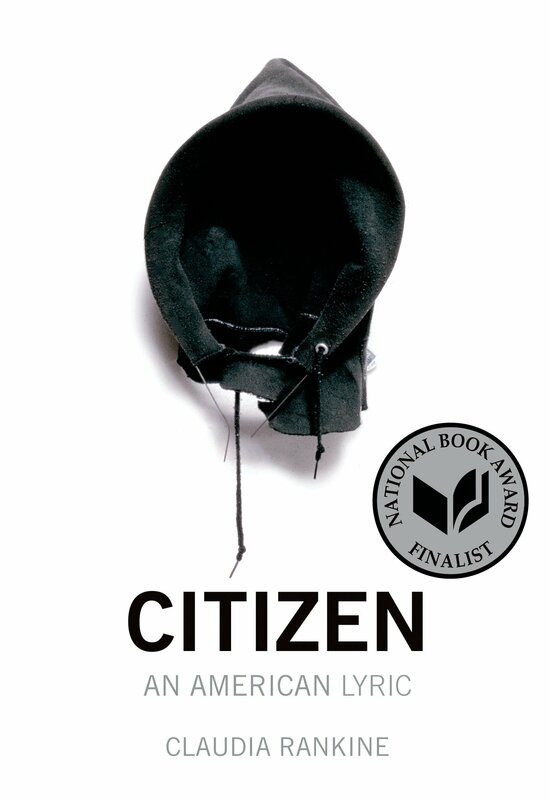 She does tell true stories in Citizen and she does build a case towards a clear point she wants to prove, in a way, but the various sections of the book read a little like a disparate collection of writings rather than as a wholly cohesive argument. While I enjoyed it, if one can say one enjoys a book that basically makes you mad more than anything, I felt like I was reading a script for a performance piece. I kept having the feeling that this would probably work much better if it were read aloud by the author, read with a series of powerful images projected on the wall behind her. The book is well illustrated with excellent photography by the way. Citizen is about what it’s like to experience America today as a black woman. Its main focus, and I think its usefulness, is on the small but fairly constant racism black people experience that white people are not even aware of. The kind of thing that happens in passing at a check out counter so quickly that it’s over before most people are aware it happened. I found much of Citizen quite eye-opening in this sense. Much of it was about sports. Much of was about tennis champion Serena Williams. I don’t follow sports at all so I enter Citizen knowing very little about Serena Williams. I wonder if this made Ms. Rankine’s accounts of the racism and the sexism Serena Williams faced on and off of the court more shocking. Actually, I’m not going to go with ‘shocking,’ it was shameful. Those involved should be ashamed of themselves. But as interesting as the parts about more famous people were, I found the accounts of more day-to-day racism much more profound, much more unsettling. They are not fatal blows, but they add up to a kind of death by a thousand cuts. It’s not something that’s really easy to understand, that effect of so much constant low-level, nearly under the radar racism. Citizen goes a long way towards making the problem clear, a necessary step towards solving it. Interesting timing for this review. I have this book, but haven’t gotten very far into it. I don’t know that I’ll be reading it this week. I confess, I scheduled it to robo-post late last week. It is interesting time, though. I wonder if her sales will get a bump. I think you should sit down with it when you have a full hour or two. That’s all you’ll need to read it cover to cover. I thought this was a very powerful book, a blend of techniques which seems to be getting fashionable. Another recent prize-winning volume of ‘poetry’, which is in fact a blend of prose, poetry, reportage, memoir etc. is Vahni Capildeo’s Measures of Expatriation. These kind of experimental works uplift me, because they open me up to new possibilities of storytelling, performance, poetics. It may not be the kind of poetry I would love to recite, but it’s exhilarating nevertheless. I can certainly see what you mean here. I am not a big reader of contemporary poetry so this is not a field I know well at all. I would like to see her read from her own work sometime.